Healthcare is a prime example of a field that is full of data that is not being used to its full potential. With a huge variety of data being collected and stored, analyzing this data and making it meaningful for both patients and clinicians is at the heart of precision medicine. The way the data is collected means that it won't necessarily make sense to the end user, therefore research projects like this must involve some sort of translation of data. It is essential to ensure that the findings from data science find their way into the hands of those who will benefit. Ideally, once a person's health data is collected and stored on their electronic health record, deep learning could be applied to EHRs to help clinicians find "patients like me". This means if a patient comes into a clinic with a health issue, the doctor can examine the EHR and subsequently search for other EHRs that present a range of similar information. For example, a patient could come in with an unusual set of symptoms, and the doctor could ask the model to find what health conditions were prevalent amongst "similar" patients. Here, the doctor would no longer need to define what aspects of similarity were important, the deep learning model can do that for them. Rather than relying on experience and previous knowledge of certain cases, clinicians are starting to draw on information from entire populations to treat a person's health. The healthcare industry is experiencing this massive transformation to digital health, and it is crucial to ensure people's health data is being used in meaningful ways. Deep learning offers a new way to discover patterns in data, which enables healthcare professionals to move closer to personalized medicine. There are many possibilities for how machine learning can be used in healthcare, and all of them depend on having sufficient data from multiple sources. This research will be used to implement Amadeus Intelligence, which applies machine learning to the large volume of health data that is ingested and managed by Orion Health's Rhapsody and Amadeus platforms, to present clinicians with predictive analysis and help to identify "patients like me". 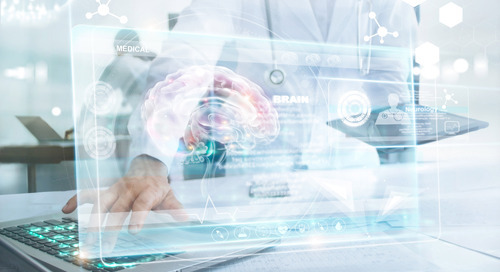 Amadeus Intelligence has the potential to leverage data insights from over 100 million patient records managed by Orion Health, and help clinicians to identify health issues more quickly and accurately through deep learning of EHRs.